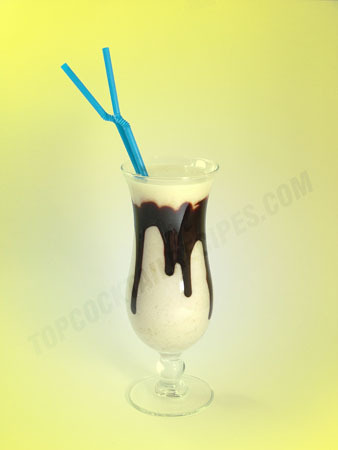 Squeeze some Chocolate Syrup to the sides of a hurricane glass. Let it drip down for a short while for added effect. Slice the Banana and blend it with the Whole Milk and the Double Cream in a blender. Pour the mix into the glass prepared.